With the T5V, Adam Audio presents a near-field monitor that, due to its compact size and technical design, is ideal for use in small control rooms, home recording, video post-production, broadcast applications or simply for listening to music on a PC. The speaker has an angled cabinet, a backward radiating bass reflex port, DSP-controlled crossovers and equalizers as well as analog connections (XLR/Cinch). 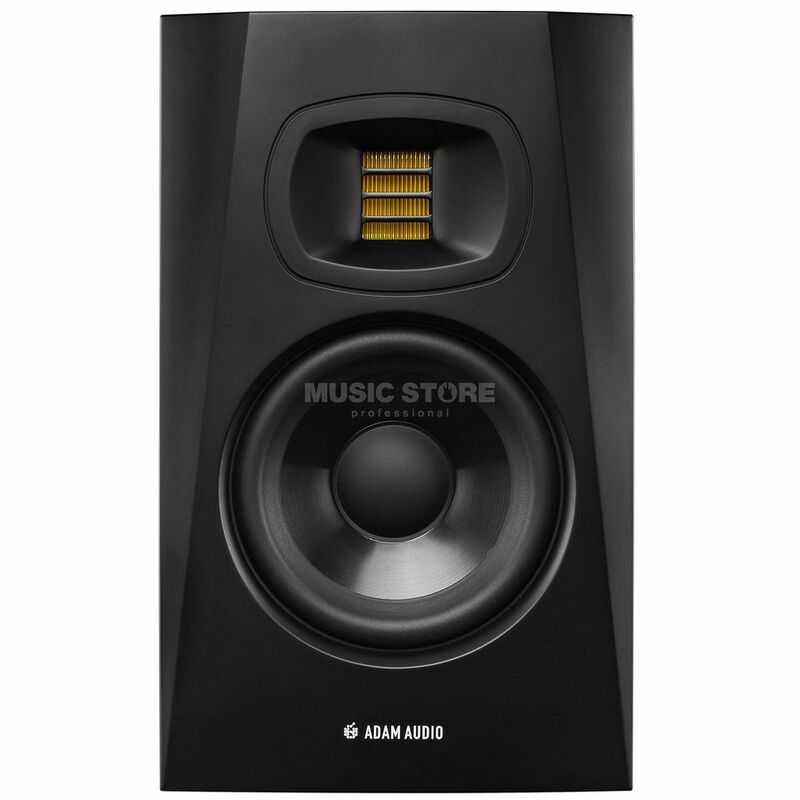 Its wide frequency response, wide dynamic range, excellent transient response, wide sweet spot and small footprint make it an excellent choice for users looking for a small, professionally usable studio monitor. If you need even more bass: the T5V is compatible with the ADAM Sub7 and Sub8 subwoofers. Reduction of early reflections on surfaces of mixing consoles, desks, etc. 2 years warranty with optional extension for 3 years upon product registration! Fantastic monitors for the price, Very transparent sound.